Six drawer dresser with structure in polished ashen wood, legs and drawer interiors in black polished maple, metal details in brass finished metal. Available to order in a choice of 2 sizes. 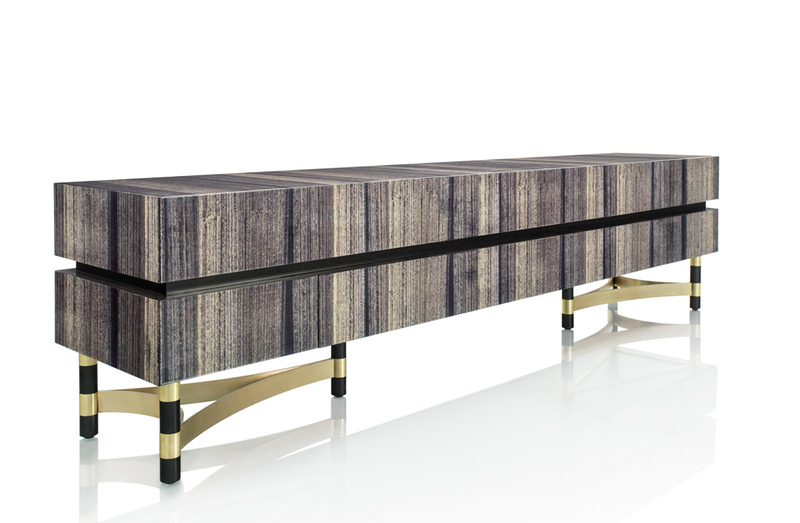 Polished ashen, black polished maple, brass metal.